22 hours Is Canada hosed? In a few short months Shell will (re)enter the Chukchi Sea. 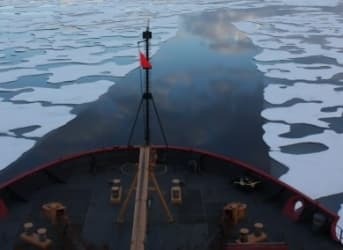 The oil and gas major still awaits approval from a number of state and federal agencies, but in early May the company received the consent of the Obama administration to explore the remote Arctic sea 70 miles off the coast of Alaska. One of the richest sedimentary basins in the world, the Arctic Alaska Petroleum Province is estimated to hold approximately 28 billion barrels of technically recoverable oil and 122 trillion cubic feet of non-associated gas spread across Alaska’s continental shelf and rift shoulder. For Shell in particular, it expects the Arctic to be its biggest source of crude oil globally within the next 20 years. Estimates vary, but the Bureau of Ocean Energy Management calculates the hurdle, or breakeven, price to be roughly $38 in the Chukchi Sea. With a profit margin of around 39 percent – probably generous – Shell could be earning $1 billion or more in annual profits for each 100,000 barrels produced per day at prices not much higher than today’s. As things currently stand, production decline rates in Alaska will threaten the operational ability of the Trans-Alaska Pipeline System toward 2040, potentially stranding 0.3 million barrels per day of oil production. Given longer than average lead times, meaningful exploration must start sooner rather than later. The Arctic is rich with hydrocarbons, but everyone knows that and the jockeying for position is heating up. Economic considerations included, the opportunity for power projection and technical development – however implicit in the Shell approval – is not lost on President Obama. Russia too – while slowed by sanctions – has remained active in its Arctic waters. Gazprom Neft expects to more than double oil production this year from the country’s only offshore Arctic oil project. 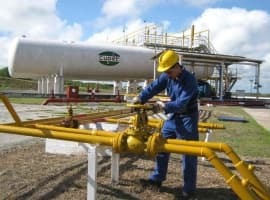 Last year, the Prirazlomnoye field delivered roughly 2.2 million barrels. The Kremlin is also expanding its already world-leading fleet of nuclear and diesel icebreakers. What’s more, marginal players like India and Vietnam are increasingly demonstrating that influence in the Arctic is not limited to those who share its borders. Still, with its new role as head of the Arctic Council – and factoring in Shell’s ambitious plans – the US has the potential to define the Arctic race for the next several years.